It is time to note that MacBooks (from 2016) support connecting to 4K monitors. For doing this, you'll need just a USB-C cable. 4K+60Hz can be achieved by installing an IOKit patch. It is easy and doesn't require any specific skills. Great news that MacBooks from 2016 have Intel inside and this hardware supports 4K resolution at 60 Hz. This is a great deal who usually worked with 30 Hz that means choppy mouse cursor movement, and can even cause a real headache, if you use it for too long time. It is a pity that MacBooks support only 30 Hz with 4K resolution. On the official website, apple says that 4K res is limited to 30 Hz and they can do nothing with it. But it's not helpless! You actually CAN enable 60 Hz at 1080 and 4K resolution on your MacBook. For instance, I've already tested this opportunity on a 4K LG monitor, which I connected via USB-C cable. 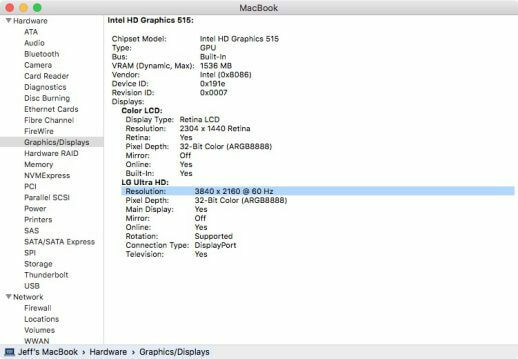 I'm still not sure why hasn't Apple enabled the 60 Hz res in their 2016 MacBooks, as the Intel Core chip supports it, as well as the integrated Intel HD graphics 515 videocard. Maybe, they have some epic reason for holding 4K+60 Hz back. I have a theory that it may done in such a way for hardware not to heat much. Or, maybe they just want to sell more Pro versions of MacBooks. However, if you will decide to use this patch on your MacBook, remember that you do it at your own risk.I think that it works with any monitor with ordinary Display port, but USB-C cable is more efficient and fast for driving 4K images to a screen. To do that, restart your MacBook, hold the Command button down until the Apple logo appears. This will take you to the recovery mode. Click the 'Next' button with an arrow on it on the welcome screen. In the menu bar, choose 'Utilities' and launch 'Terminal'. 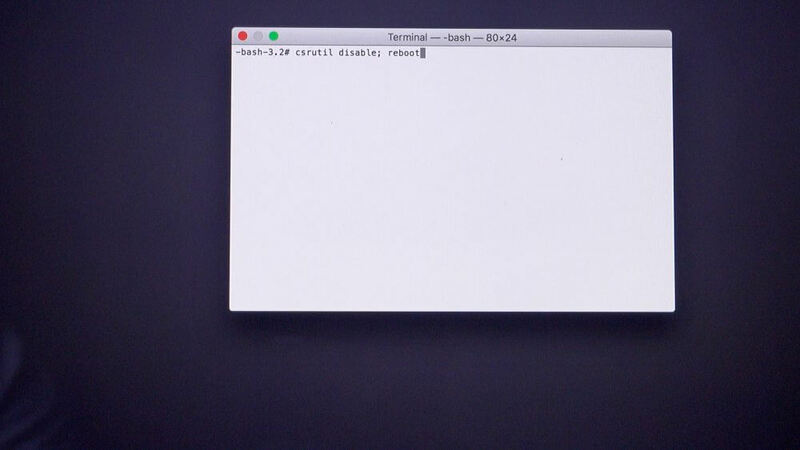 Once the Terminal window opens, type'csrutil disable; reboot' in it. Press the 'Return' key on the keyboard. Now, it's time to get the patch by Floris497, it's developer. Here's a link to GitHub (https://github.com/Floris497/mac-pixel-clock-patch-V2/blob/master/IOKit-patcher.command). Right click on 'Raw', choose the 'Download linked file as' option. Save the file to the Desktop. Run Terminal. Type 'chmod +x' with a space between 'd' and '+'. 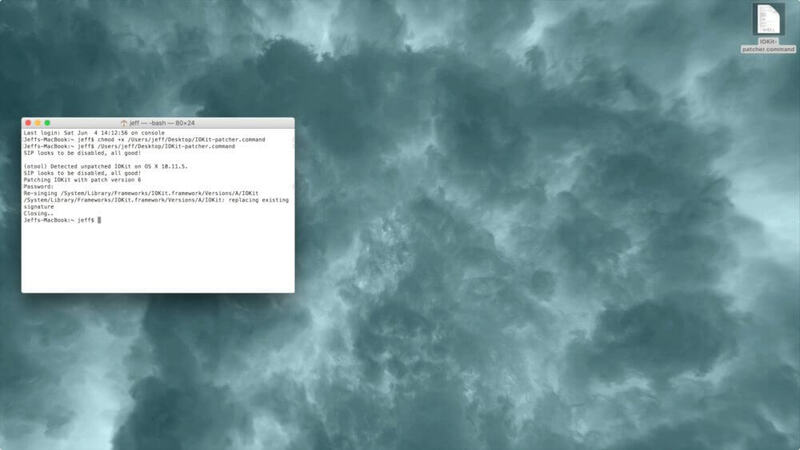 Drag the file of the patch from the Desktop to Terminal, press the 'Return' key on the keyboard. 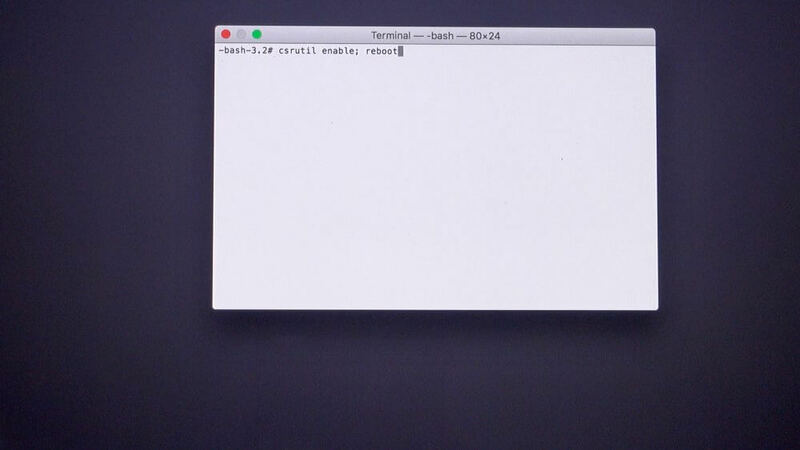 Drag the file back to the Terminal window, press the 'Return' key once again. The system will ask you to enter the administrator password. Type it and press the 'Return' key again. Now, the patch may run successfully. Navigate to 'System preferences', choose 'Displays' on the external screen, make sure that '30 Hz' is no longer listed there. You will also notice how the cursor moves now. It is much smoother, right? Ensure that the screen supports Display port 1.2 and it is turned on, as it is necessary for turning on 4K+60 Hz via USB-C cable. You can also visit the 'About this Mac' section, select 'System report', and then 'Graphics/Displays' to check whether your display has switched to 60 Hz. By the way, there is a software solution called 'UFO test' for checking your screen's frame rate. Now, after you have made sure that the patch works properly, let's enable SIP again. Restart the MacBook, hold the Command button on the keyboard until the Apple logo appears. You will enter the recovery mode. The actions you have to take are the same as I've already described earlier. Click the arrow on the Welcome screen, go to 'Utilities' and launch Terminal. After doing all these steps, reboot your MacBook as you usually do with no additional actions. I personally can say that this feature means a lot to me, as I'm typing this text on my 27" 4K 60 Hz monitor, and it is very comfortable. It is connected via USB-C. Thanks to the correct setup, it looks awesome. However, I can mention some risks... I haven't noticed that my MacBook became warmer or works on its edge. However, Apple doesn't recommend users doing such things, they may know more info on that. But, until I don't have any troubles with 60 Hz, I'll continue using it and won't switch the screen back to 30 Hz without a reason. And what do you think about this feature and the patch? Have you already tried how it works? What were your impressions? I hope they were great, just like mine. Don’t forget to subscribe to my blog, as very soon I’m going to share even more great tips and tricks with you!